The former capital of Bagan for a long time was the capital of the Kingdom of Pagan, where there are now over 4000 hundreds-year-old temples and pagodas. Bagan not only attracts tourists by its own beauty but also more interesting things. Here are things that visitors should do when traveling to Bagan. Bagan is a city located in the central region of Myanmar, which used to be the capital of the Pagan kingdom that lasted from the ninth century to the thirteenth century. Bagan is considered to be the site of many of Myanmar's most famous temples, with more than 4000 temples, so when it comes to Bagan, the first thing that visitors must do is to visit and learn about the temples. Some of the main temples that visitors can visit are: Ananda Phaya, which is the best preserved and most intact temple; Dhamma Yangyi Temple, which is one of the largest temples in the area and has a pyramid-like architecture; Shwesandaw Temple is the best place to watch the sunset or sunrise in Bagan. And many other temples are waiting for visitors to explore. This is a unique product for visitors when Myanmar, the ancient capital of Bagan attracts visitors by the beauty of the centuries-old temples. 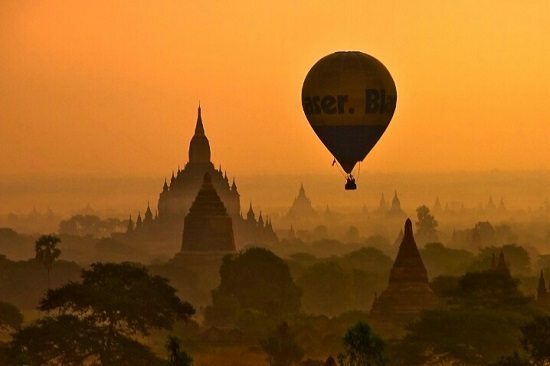 However, the best way to look and feel the full beauty of this land is to use a balloon, hundreds of meters high, Bagan as zoomed in the eyes of visitors. Feeling overwhelmed when admiring thousands of towers here. At dawn or dusk, visitors on the balloons will see a Bagan with its very own beauty, which will be the best experience of visitors to Myanmar. Utilizing local transportation is one of the things travelers should do in Bagan, in which carriage is the most popular form of transportation. The carriage is not too fast, slow enough so that visitors can admire the scenery here, enjoy peaceful space, chat with indigenous people. However, visitors should agree on prices to avoid unfortunate contradictions. The second way is to rent a bicycle, with this means you are free to explore any temples that you like, both do exercise and easy contact with local people. There are also taxis, motorbikes are also available to serve visitors. 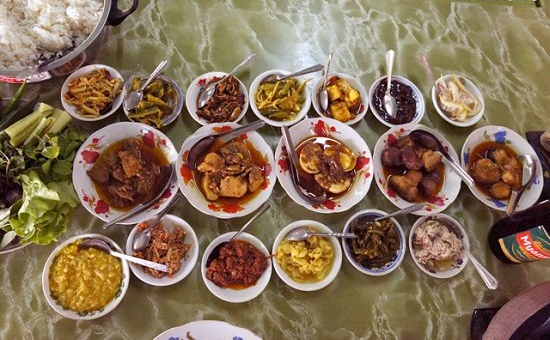 The food in Bagan is much cheaper than other tourist destinations in Myanmar, as well as other countries. Myanmar curries, lemon sauced fish, tea leaves salad, beer and tea are two of the drinks that many people and visitors choose in their meals. If visitors do not match the taste of Myanmar dishes, you can call yourself familiar dishes of Asian countries or American fast food. 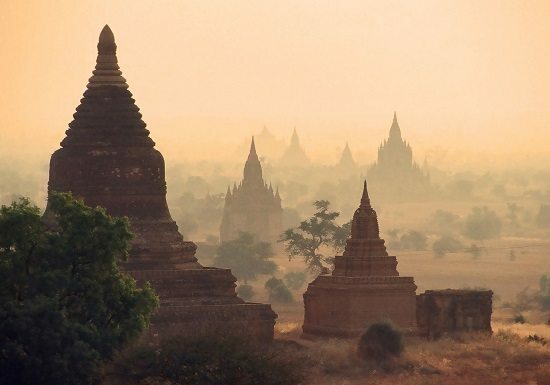 I highly recommend you travel to Bagan on Burma Cruises such as Belmond Orcaella Cruise or Anawrahta Cruise to experience a different way of exploring Myanmar.